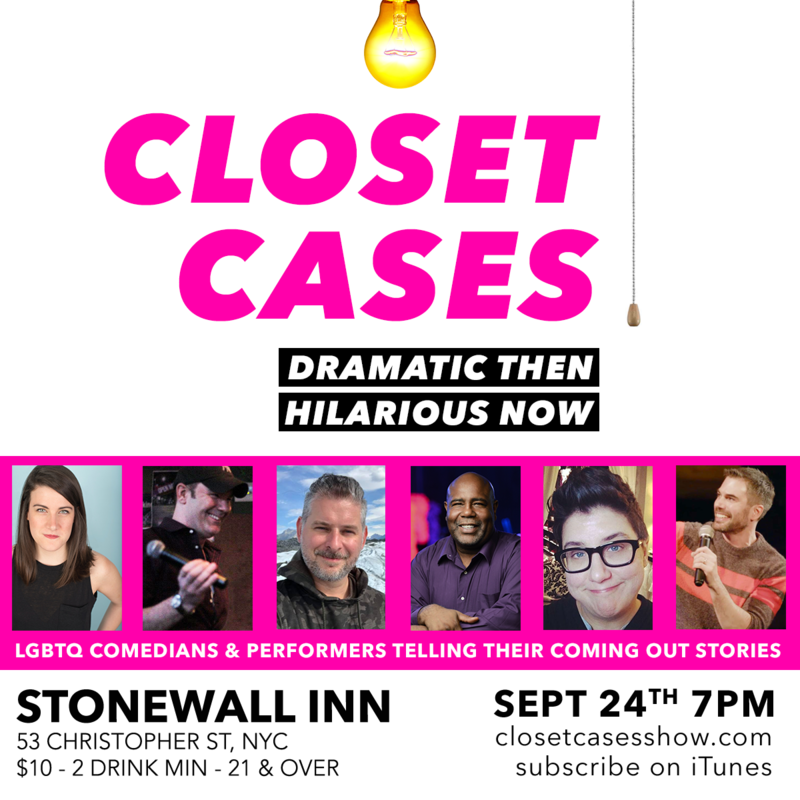 After an eight-year hiatus, Closet Cases is returning to the stage at the legendary Stonewall Inn. The show is a cathartically hilarious storytelling show about LGBTQ comedians and performers telling their coming out and transitioning stories. The first show is currently featuring Kelsey Bailey (a mainstay at UCB and has been seen on Lifetime and FYI TV), MAC Award Winner, Michael Brill, David Hodorowski (VH1, MTV), Keith Price (Better Headlines: Sirius XM and NY1's On Stage), Brandy Rowell (Suddenly Stand Up) and surprise guests. The show is hosted by Shawn Hollenbach who can most recently be seen in “The Mortified Guide” on Netflix and as host of “BTWN2FLRS”, a celebrity talk show filmed in a working elevator from A+E Networks. In addition to the show, there will be a revamped version of the podcast featuring audio from the live show and a more intimate interview going deeper into the story. The show takes place on Monday, September 24th at 7pm at The Stonewall Inn at 53 Christopher Street, between 7th Ave and Waverly Place. Take the 1 to Christopher Street or the A/C/E/B/D to West 4th Street. The cover is $10. 21 or over.